Raleigh is the second largest city in North Carolina. The capital city is known as the City of Oaks due to its plethora of oak trees, which line the streets in the heart of downtown. Chartered in 1792 and named for English adventurer, writer, and politician Sir Walter Raleigh, Raleigh now has a population of 458,000 people and is one of the fastest-growing cities in the US. In addition to its popular downtown area, Raleigh boasts many eclectic neighborhoods. East Raleigh has two distilleries as well as dozens of restaurants that serve down-home Southern food. Across town, North Raleigh is home to several large retail stores, entertainment complexes, parks, and recreation areas. From high-end steakhouses to dog-friendly breweries, Raleigh’s thousands of restaurants, outdoor eateries, food trucks, and cafés promise no shortage of dining options on your romantic getaway. If you want a unique date-night environment, you should check out the Brewery Bhavana in historic Moore Square Park. Touted as a “gathering place celebrating communal beer experiences that exhibit the hand of the maker,” Brewery Bhavana was named one of “America’s Best New Restaurants” in 2017 by Bon Appetit, and Forbes listed it as one of the “10 Coolest Places to Eat” in 2018. 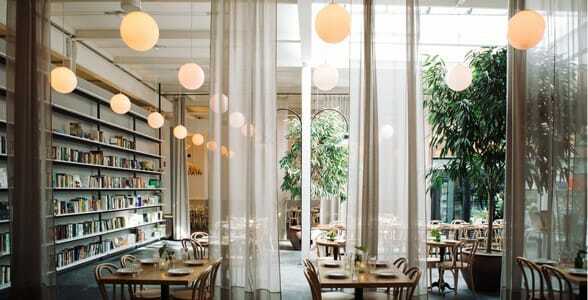 The versatile floral shop, brewery, bookstore, and dim sum restaurant has quickly become one of the city’s trendiest places to gather to meet people from all walks of life. The Brewery Bhavana offers diners a quiet atmosphere to enjoy dim sum and craft beer. 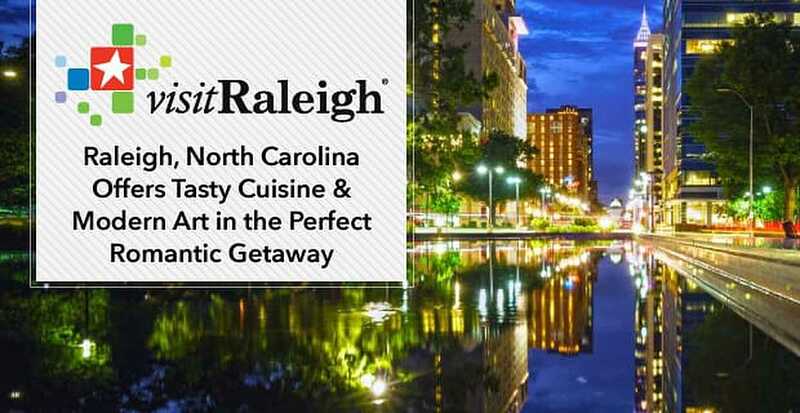 Other notable date spots, according to the folks at VisitRaleigh.com, include Mediterranean restaurant Vidrio, Hummingbird, and Herons Restaurant, which is located in a five-star, five-diamond hotel called The Umstead. Whether you’re looking for a casual pint during the day or an after-dinner sweet at night, Raleigh has you covered. The city has two bean-to-bar chocolatiers. Videri Chocolate Factory on West Davie Street features tasty selections of organic, nut-free, gluten-free, and vegan handcrafted options as well as self-guided tours of the factory. Chocolate lovers can also check out Escazu Chocolates on North Blount Street to satisfy their sweet tooths. The locally owned breweries in town provide couples with a casual place to share a cold one and have a good time, but beer lovers can also fill their cups at an annual beer festival called Brewgaloo. Brewgaloo is a two-day event held in the City Plaza and on Fayetteville Street in downtown Raleigh. Attendees can enjoy food trucks, vendors, live music and, of course, beer. You can spend all day sampling sours, pale ales, and IPAs from Little City Brewing, Carolina Brewing Company, Nickelpoint Brewing Company, and Neuse River Brewing, among others. Some people refer to Raleigh, North Carolina, as the Smithsonian of the South, and with good reason. This Southern metropolis is bursting at the seams with art museums, performing arts venues, and visual art galleries. The city is also home to acclaimed organizations such as the Carolina Ballet and North Carolina Theatre. Whether you enjoy talking about art or listening to jazzy tunes, you and your date can find an affordable and stimulating date activity in this cultural hub. 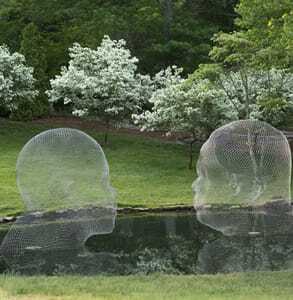 Couples can see works of art along wooded trails at the North Carolina Museum of Art. The Contemporary Art Museum of Raleigh on West Martin Street is another popular date spot for artsy couples looking for conversation and enlightenment. The museum curates the most contemporary works of art and design from emerging artists with regional, national, and international recognition. Known for its beautiful oak tree-lined downtown streets, Raleigh boasts thousands of one-of-a-kind date spots for outgoing couples. Whether you’ve lived in North Carolina your entire life or have a romantic getaway planned, it’s easy to see why you’ll never run out of things to do or places to visit here. The William B. Umstead State Park features an extensive network of hiking and multi-use trails, paddle sports, and camping grounds. Land that was historically shaped and altered to develop home sites, roadbeds, and agricultural fields has become the most visited park in the North Carolina State Park system.